So this was love at first sight. 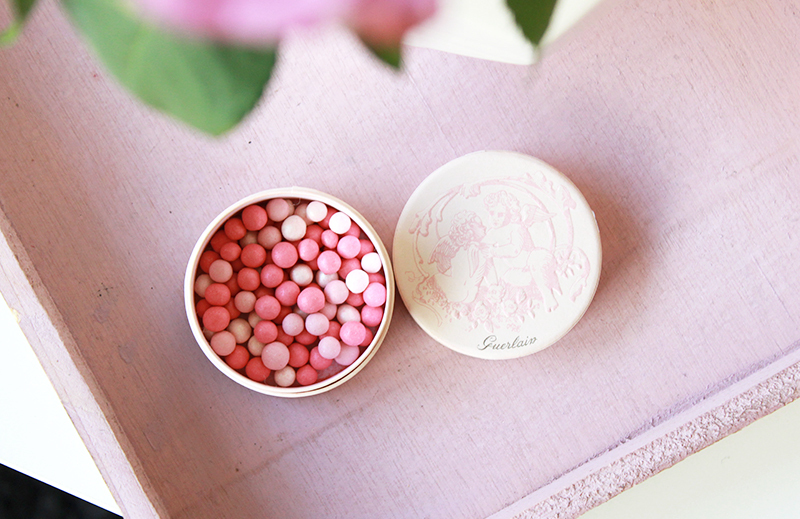 I am a huge Guerlain Météorites fan (I own 3 full size and 1 travel size tub) and could hardly wait to welcome the Météorites Perles de Blush Éclat Angélique into my home. 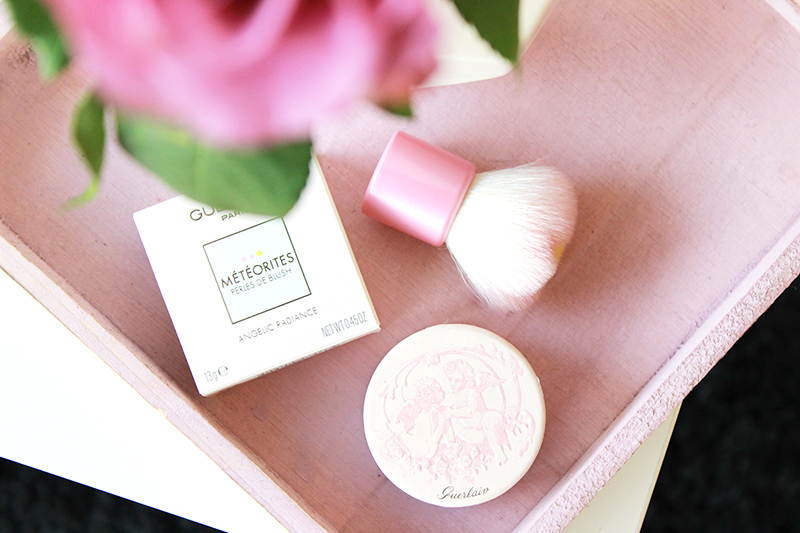 This is the first ever pigmented Météorites blusher, how exciting! While the regular Météorites tubs that come in a wide variety of shades and limited editions are very subtle in effect and best used as a finishing powder or highlighter, this blusher is definitely much more pigmented and immediately brightens up your cheeks. I'm not sure (well actually I am: the quality & beautiful packaging!) 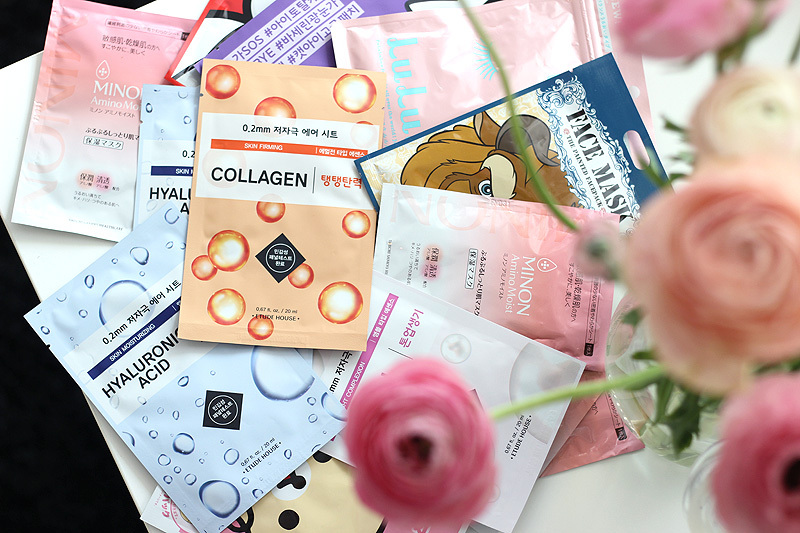 what keeps luring me into the Météorites, but they're definitely my weak spot in the exciting world of makeup. Just look at this. How could you not love this? The packaging is just beautiful - it's a cardboard little round box with two cherubs on the lid and the beautiful Toile de Jouy pattern on the sides. 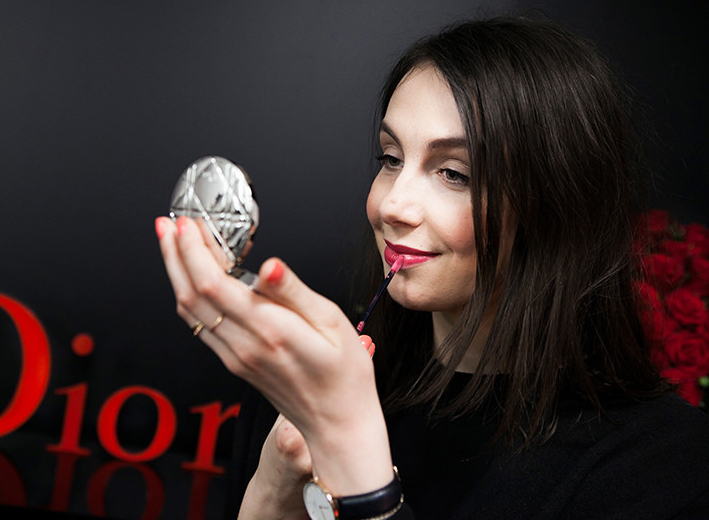 I don't mind that it's cardboard, although I know some of you will be a bit put off by it as the last years Guerlain has consistently put their Météorites pearls in tin jars. There's also a powder puff thingie inside, which although you won't use it you should keep anyway for when you're traveling. The box is surprisingly small when you're used to other Météorites tubs, but it still contains 14 grams of product which is a very generous amount. 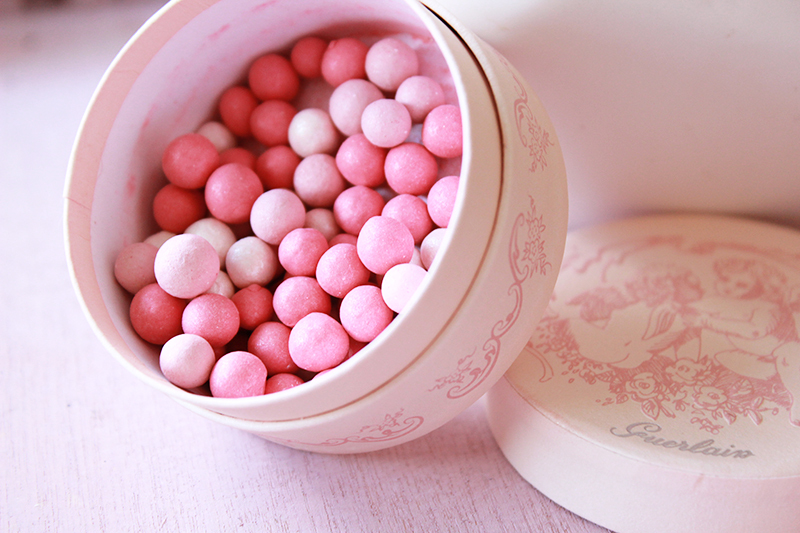 I feel the same way about the regular Météorites pearls: they are sometimes perceived as pricey, but they last for a very long time since you get a lot of product in one little tin. The blush pearls are quite small (think smaller than peas) and I found them to hide in my brush after dipping it into the tub. Now - one escaped pearl and a pink stain on my beige carpet later - I can wholeheartedly advise you to gently tap your brush after picking up product so any stuck pearls can fall out. The result is a beautiful, glowy pink flush that stays put all day on me. 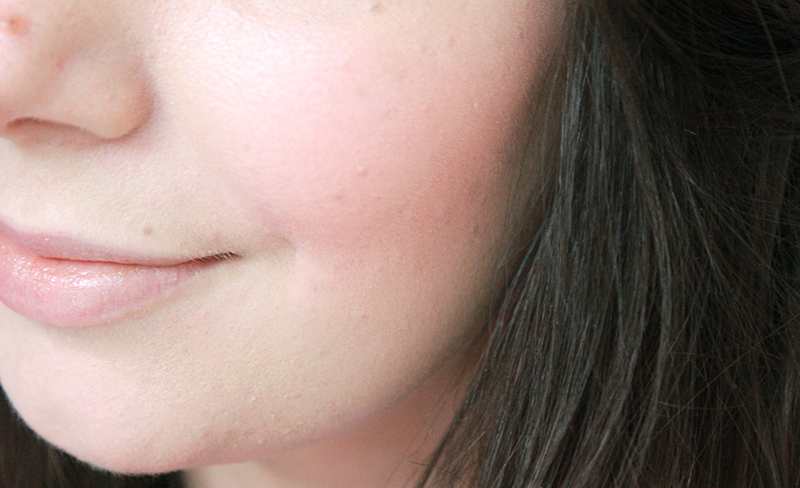 In this picture I am wearing it alone (no highlighter/bronzer) on top of MAC's Studio Fix Fluid. The pearls are quite pigmented and blend into the skin beautifully - I usually don't even have to go in a second time with my brush. This really is a very beautiful product both in packaging and actual results. If you're a Guerlain fan and love the look and feel of Météorites (and scent - these smell like yummy violets like other Météorites products! ), then this is definitely a must-have this season!